Travelers in Eastern Europe have trodden the same paths through Prague, Krakow, and Budapest for years. But further east lies the majestic city of Bucharest, home to almost 2 million people, and the capital of dark, moody Romania. Recently, the country has begun capitalizing on its natural appeal to vampire fans. (Bram Stoker famously captured the rugged Transylvanian countryside in his 1942 classic, Dracula). For those seeking something beyond blood-sucker folklore and empty castles, Romania is a super-cheap way to enjoy a slice of the Balkan cultural pie. And right in the heart of the country, its quintessentially European capital blends eclectic architecture; narrow, pub-lined alleys; and easy access to scenic rural destinations like Sibiu and Brasov. 1. Music-lovers will find plenty to do: frequent recitals are held at the Romanian Aethenaeum (pictured above), an awe-inspiring neoclassical concert hall that dates back to 1888. It functions as one of the main venues during the month-long George Enescu Classical Music Festival, held in September (the neighboring Royal Palace Concert Hall also hosts performances), drawing musicians and composers from all over Europe. Ticket prices range from $12 to $25 – a bargain, when you consider there will be performances by the Pittsburgh Symphony Orchestra, the London Philharmonic, and, of course, the home team – the Romanian National Radio Orchestra. 2. As Bucharest hotels go, you won’t find much in the way of trendy new boutique properties (the recession has put a damper on new construction). However, you are likely to come across four- or even five-star hotels with rates as low as $125 or even $100. 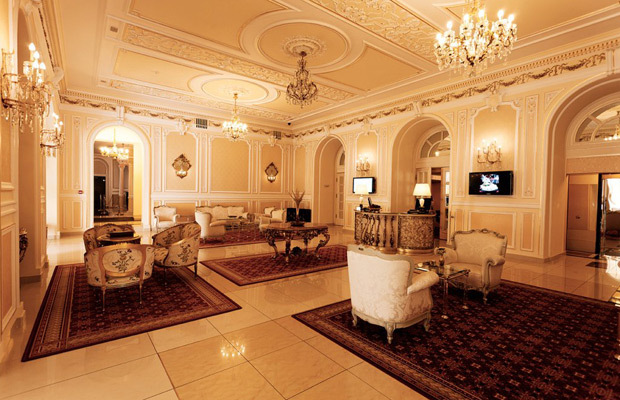 The Grand Continental Hotel (pictured), which re-opened recently after a top-to-bottom renovation, re-creates the feel of old-school 1930s Bucharest, with mahogany headboards, a Parisian-style tea room, and an all-white chandeliered lobby. (Rates from 85 EUR). 3. 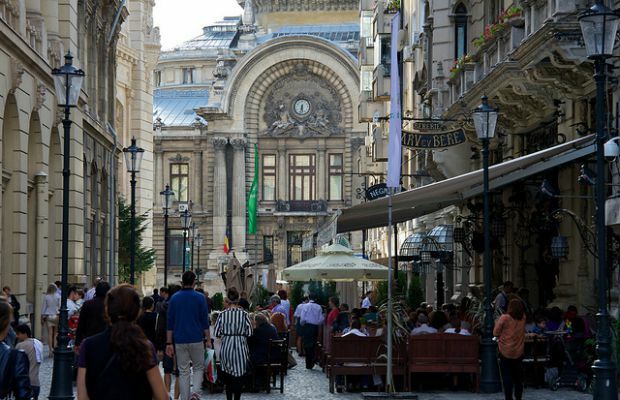 Speaking of old-school Bucharest, did you know that an oft-quoted notion about Budapest - that it's the "Paris of the east" – once belonged to Bucharest? In fact, thanks to a Romanian obsession with Parisian culture at the turn of the century, French was the second most-spoken language in town. Modern-day bohemians like to hang around the city’s Old Section (located near University Square), where a series of small clubs, discos, restaurants, and designer shops have begun cropping up over the past year in former merchant homes along Lipscani Street and Franceza Street. 4. 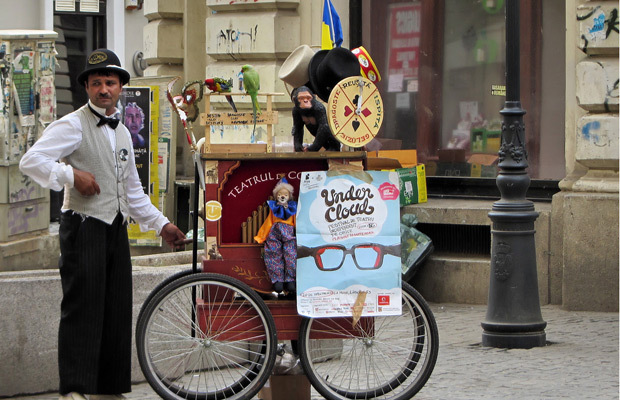 Getting around Bucharest is a breeze. In addition to a wide network of buses, trams, and trolleys (single rides 40¢; day passes $2.25), locals rely on four major subway lines (single rides 55¢; day passes $1.75). 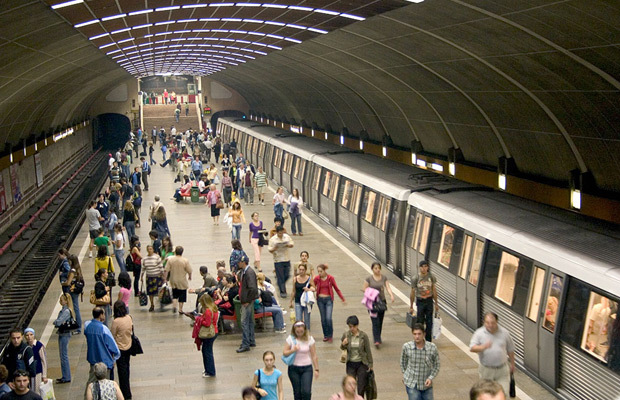 Within this network, the stations with the highest concentration of sights are: Victory Square, Romana Square, University Square, and Union Square – conveniently, they are all located next to each other along the city’s blue, or M2, line. 5. Of particular note is the elegant Art Collections Museum, which re-opened this summer after a five-year renovation, and is located within walking distance of Romana Square (entry is free on the first Wednesday of each month). 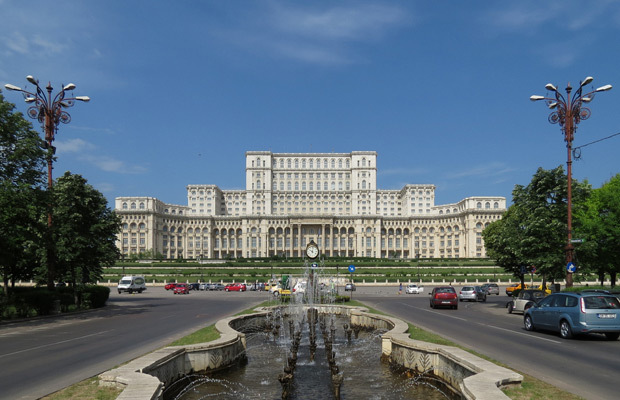 Close to Union Square is Parliament Palace (pictured), the second largest office building in the world – not to mention the current home of the Romanian senate, chamber of representatives, and the National Museum of Contemporary Art. Every day between 10am and 4pm, visitors can tour several of the 1100 rooms, all of which were constructed using materials sourced exclusively from Romania. 6. As rich as Bucharest’s cultural offerings may be, it also provides easy access to the famed medical spas scattered throughout the country. Historically used to alleviate lyme disease, arthritis, and asthma, these spas are beginning to make a comeback – especially in places like Sibiu or Eforie Nord, along the Black Sea coast. But don’t show up expecting a massage or facial – these small, independently-run properties still rely on traditional treatments like mud baths, soaking in the mineral waters, or going underground to breathe in the dry, purifying air of salt mines.